Alan Waldron swaps in some retro colors for the Anaheim Ducks in this one. A lot of people think the New Jersey Devils should go back to their classic green and red color palette. Alan Waldron is one of them and he presents his solution here. 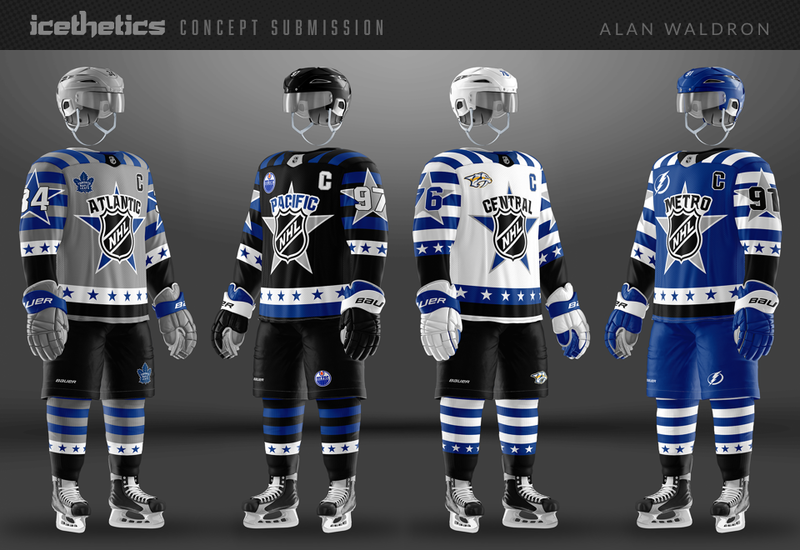 Alan Waldron takes a stab at a Tampa Bay Lightning-inspired set of uniforms for the 2018 NHL All-Star Game. A little busy, perhaps, but it's hard not to like the colors! Alan Waldron returns with a new take on the Pittsburgh Penguins.